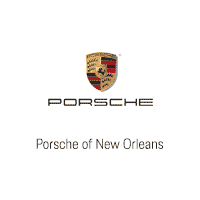 Should You Lease or Finance a Porsche 911 in Kenner, LA? You know that for your next car, you want a Porsche 911. And who can blame you? This is a popular car in Kenner, LA, and across the country. But do you know how you’re going to pay for it? Unless you have a lot of money in the bank to pay for the vehicle up front, you are either going to have to finance it or get a lease. How do you know which option is best for you? It’s important to do your research before you make this big decision, as it could have an impact on your finances for many years. Financing is perhaps the most common method of obtaining a car in Kenner, LA. That’s because it’s an easy path to vehicle ownership. Your credit score will determine what rates you get on your loan. Then, you will pay a down payment and continue to pay for your vehicle every month. At some point, whether that’s three or seven years down the road, you will have paid off your car. This option is very popular because it allows people to own their dream car. However, it can be a bit more expensive up front, and you could even face expensive monthly payments. Keep this in mind if you think you want to finance. Your other option for getting a Porsche 911 is leasing. When you sign a lease, you won’t actually own the car you drive – you’ll just be borrowing it from the dealership. Therefore, you won’t be able to drive over a certain number of miles every year, and you won’t get to keep the vehicle at the end of the lease. You’ll simply take it back to the dealership. This is an excellent option for those who need something temporary, but it’s not the best choice for those who want a lot of freedom when it comes to their vehicles. Remember, you won’t be able to make any permanent changes to the car. Oh, and you’re going to need to have a great credit score to qualify for a lease. If you still have questions about the differences between financing and leasing, come to Ray Brandt Porsche near Kenner, LA, to speak to an expert who will be happy to answer any questions you may have.